Arthur "Jerry" Kremer | Ruskin Moscou Faltischek, P.C. 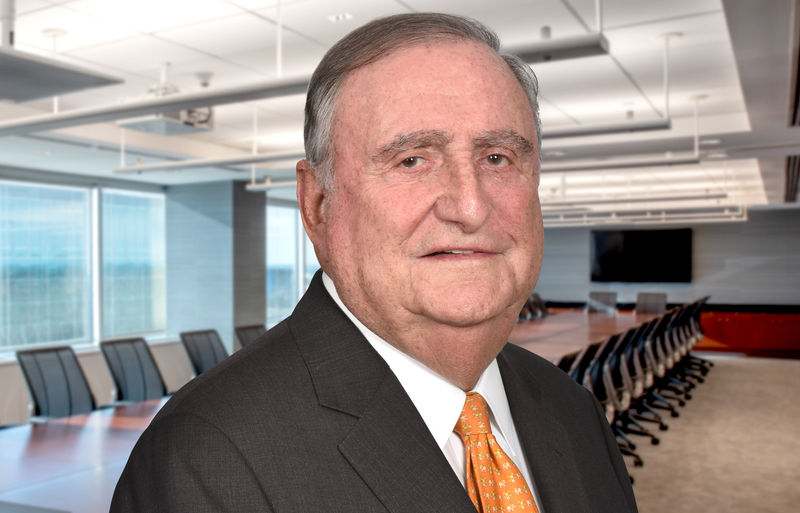 Arthur “Jerry” Kremer is a partner and chair of the Municipal and Regulatory Affairs Department at Ruskin Moscou Faltischek P.C., and is President of Empire Government Strategies, a successful lobbying group. He has enjoyed a long and distinguished career not only in law, but also in government. His career in government began with his appointment as corporation counsel of Long Beach, NY. Jerry was elected to 13 terms in the New York State Assembly and was the only Long Island legislator to ever head the prestigious Ways and Means Committee. He has served by appointment of the governor to the Metropolitan Transportation Authority’s Capital Review Board and the Public Authorities Control Board. Jerry has represented a large number of Fortune 500 companies in complex matters and provided strategic corporate advice to many of them. He has served as government relations counsel to Canon USA, Public Service Electric & Gas, Hostelworld, New York State Bowling Proprietor’s Association, Bus Association of New York State, Town of North Hempstead, the New York State Power Authority and various medical groups, technology groups and prominent energy companies. City and State magazine has designated him as one of the most powerful lobbyists in Albany and he is a member of the Hall of Fame of Long Island Business News. He maintains an active role in many key Long Island organizations. He is a Trustee of Hofstra University; a member of the Board of Overseers of the Tilles Center for the Performing Arts, and has served as a member of the Board of Directors of the Long Island Association. Jerry is also Chair Emeritus of the Young People’s Chorus of New York City, a 600-member youth chorus. Currently, he is the newly elected chairman of the Council of Independent College and Universities Governing Board, which makes him the spokesman for 8,100 college trustees who served on 131 college boards. He is a past president of the Brooklyn Law School Alumni Association. In addition, Jerry is a colonel (ret.) in the New York State Guard. He is chair of the New York Affordable Reliable Electricity Alliance, a 200-member group, which advocates positions on key energy issues. He is currently serving as special counsel to the Mayor of Mt. Vernon. As an extension of his professional life, he has served for 16 years on the Committee on Professionalism in the Law by appointment of the chief judge of the Court of Appeals. The news media have consistently sought Jerry’s commentary and analysis of the events of the day. He has been the News12 political analyst for over twenty years and has appeared regularly on the Fox network and ABC television. He provides commentary on political topics for The Huffington Post and Politico. He authors a syndicated column for The Herald Newspaper chain, which reaches 800,000 people weekly. He is the author of a new book, Winning Albany – Untold Stories About the Famous and Not So Famous.